Peace to RUTH ELLIN. We began with a tribute to Ruth, a founder and former president of our tenant association. With great foresight, Ruth ensured that we were a part of NYC’s larger tenant movement and connected to local political clubs. She also ensured that we had a solid financial base so when legal fights became necessary, we were prepared. When Ruth became frail, Lenore Richter (on left in photo), arranged for and supervised Ruth’s 24-hour care. 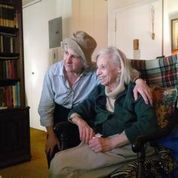 Ruth died at 94, having been a TV, film, and stage actor, and active in the Yiddish Theater. Ruth was an immigrant from Canada who loved both her countries. Our condolences to Ruth’s sister Lola Mendelson, Lola’s son Simon, and their extended family. COURT UPHELD RENT FREEZE. When the landlords' "Rent Stabilization Association" tried to undo the Rent Guidelines Board’s rent freeze for those renewing their lease for 1 year, the State court ruled that the RGB had appropriately considered tenants’ ability to pay – and upheld the rent freeze. Yay! RENT GUIDELINES BOARD'S Preliminary Vote: April 25. Join the Rent Justice Coalition at the preliminary vote to demand a rent rollback: Rents are still too high. 7 PM at Cooper Union's auditorium, 7 East 7th St., at 3rd Ave.
activities co-chair, explained that BAiP is a very local organization of volunteers. The volunteers lead ongoing activity groups they are interested in, and others sign up. There are groups ranging from book discussion and tennis to eating at a particular local restaurant once a month, to dog run meetups, Broadway-play readings and more. It’s all free for members (except for paying your own way at the restaurant or theater, for example). BAiP also refers members to resources recommended by other members such as professionals – from doctors to plumbers. The organization often holds informational panels – such as the one on chronic pain at the library a couple of weeks back. Finally, where BAiP has a building rep (want to volunteer to be ours? ), that person can help create a volunteer system, as Lenore did for Ruth, to accompany neighbors to the doctor or arrange for in-home services. BAiP will also train neighbor-to-neighbor volunteers who want to spend time with the homebound. Become a member. BAiP has an easy website to use (Bloominplace.org) and flyers in our mailroom. Unfortunately, BAiP’s activities are mainly in English, but those who want to start a different language group are welcome. 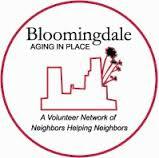 To contact BAiP, email info@bloominplace.org. talks and movement activities run by BAiP – day and evening at the library. There’s even free tax preparation by AARP professionals who’ve been doing it for years. But come by 9 AM on the day they’re there to sign up (first come, first served). High school students can get help on April 6 with college planning and financial aid, and others can study English as a second language. Expectant parents can take classes with La Leche League, and seniors can “Move it to Music.” If you love Hollywood, come to lectures by a renowned film professor. There’s lots more: check it out at the library itself or on line. Other resources in our neighborhood: Goddard Riverside Community Center with programs and services for all ages They have 2 local branches: 647 Columbus Ave. (for kids and cultural activities), and 593 Columbus with social workers, activities for seniors, and many political and educational forums. Self Help also offers volunteer activities for seniors helping each other, and services for seniors including home care and activity centers and legal assistance. There are lots more. Contact the Columbus Amsterdam BID (Business Improvement District), and see its monthly calendar on our www.cpgta.org website. Also check out the weekly West Side Rag calendar. 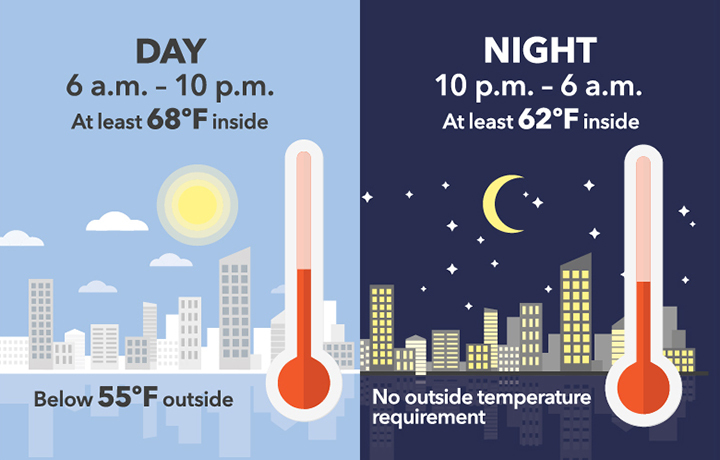 GARAGE: The NYC Department of Consumer Affairs has found the garage to be in violation of the number of cars parked there. Let’s keep working to ensure that they stop overcrowding. We’ll be having some parties in May, so stay tuned (and volunteer!). Our dues are $10/apartment yearly, and the legal fund contribution is $100/apartment yearly, payable as you can. Give your contribution to our treasurer Joan Browne in 12F.